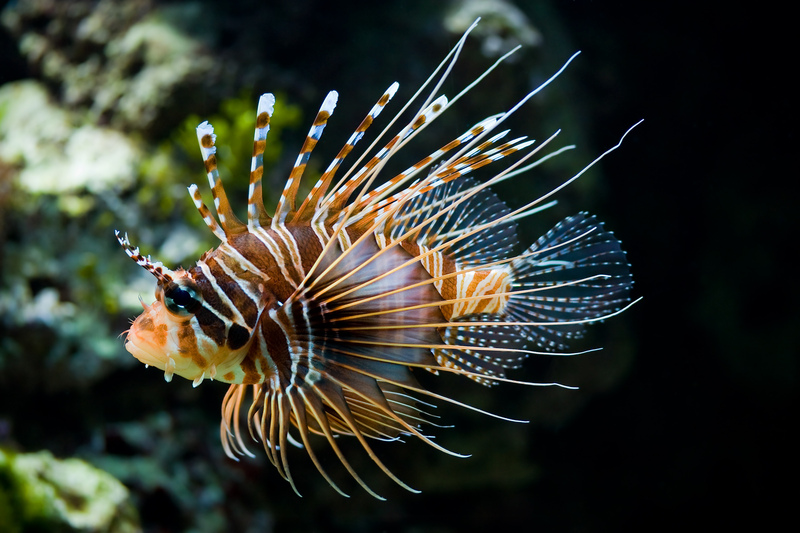 A medium sized lionfish that will eat small fish and invertebrates. Shouldn’t be keep with very aggressive fish, like triggers or eels, as they will chase it and can cause it to die from stress. It’s an aggressive eater but not an aggressive fish.